Since 1978, Oxler Family Dentistry has been a dental practice devoted to restoring and enhancing the natural beauty of your smile. Our practice is focused on conservative, state-of-the-art procedures that result in beautiful, long lasting smiles! Oxler Family Dentistry is a second generation practice. Founded by Dr. Douglas Oxler, his two sons Jude and George have continued the legacy as one of the most respected dental practices in Wichita. Oxler Family Dentistry strives to make everyone in the family comfortable while visiting us. We spend time showing each of our young patients and educating them about what we do, our tools and techniques, and letting them get comfortable with our environment before we do any procedure. Unlike most dental practices, we encourage Moms (or Dads) to come with their children back in the examination rooms. Many of our staff members have children of their own and understand their needs and concerns in a dental environment. A standard of excellence in personalized dental care enables us to provide the quality dental services our patients deserve. 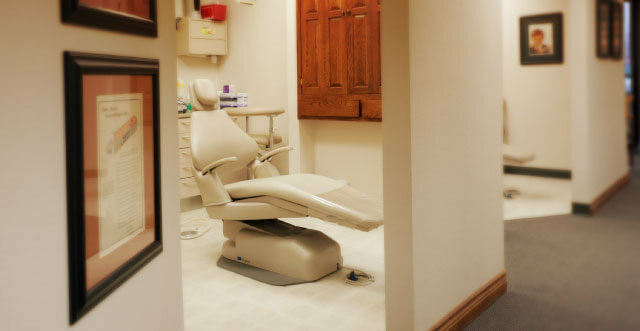 Oxler Family Dentistry started out as an idea that dental care should be delivered in an environment that is comfortable, relaxing and private. We provide comprehensive treatment planning and use restorative and cosmetic dentistry to achieve your optimal dental health. Should a dental emergency occur, we make every effort to see and care for you as soon as possible.